Model 121X rotating light flashes 90 times per minute and produces a 360° visual signal. 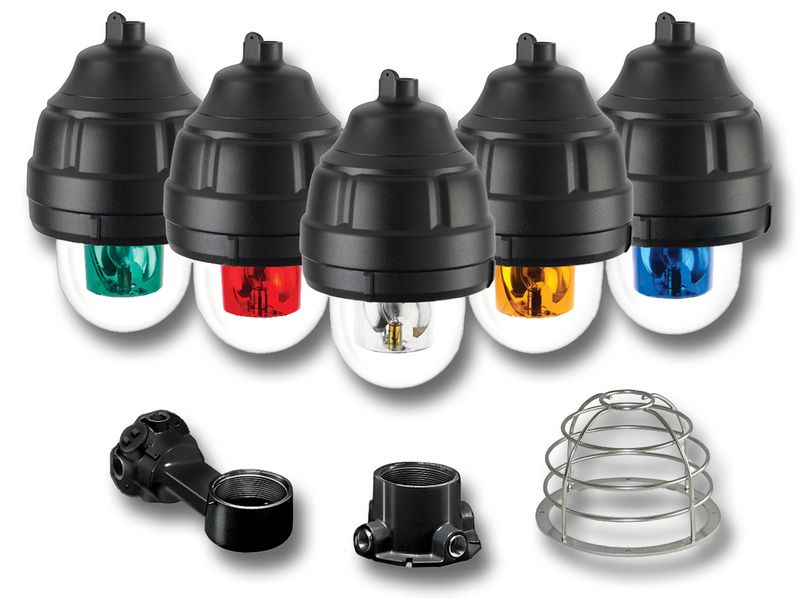 Model 121X is unique to the market because it covers an entire range of possible mounting configurations – including dome up. This corrosion-resistant unit’s copper-free aluminum housing is finished with a powder coat. The 121X uses a synchronous motor to drive a parabolic reflector around an incandescent lamp. This results in a 360° rotating beam which is concentrated in a horizontal plane. The 121X features a spring clip-mounted lamp for quick access when inspecting or relamping. The 121X can be paired with a pendant, ceiling or wall mount. Installation is simple–with the mounting box in place, the fixture is threaded onto the mounting box, making the electrical connection. 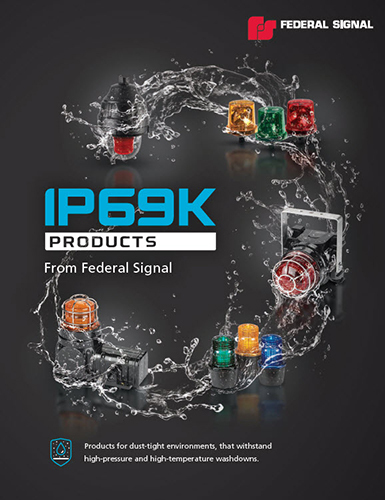 Federal Signal’s rugged 121X Warning Light is designed for explosion-proof applications and/or corrosive environments. It is ideal for use in indoor and outdoor areas such as oil rigs, mines, refineries, and chemical plants.